The way I have to look at my fitness program is to concentrate only on what I believe works best. Only to concentrate on the most dynamic tools of progression. 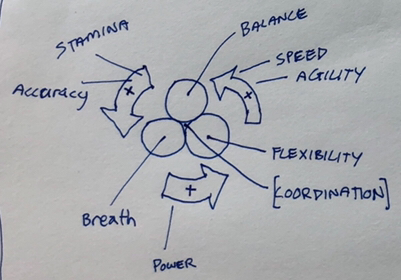 I also have to streamline concepts to see the core of need for focus. And to be able to relate to other formats that have their own purposes. 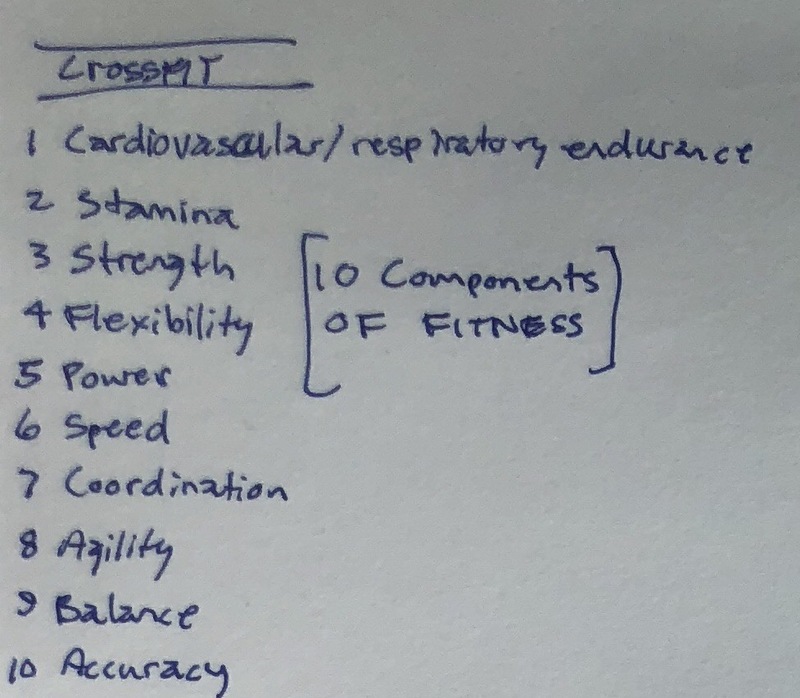 Anyhow, I used CrossFit’s 10 Fundamentals of Fitness and reconfigured into a simpler format. This came quick and should be pondered on, but works fairly well with my thought process and fills most of the gaps. The trio sets the stage for movement. The remaining fundamentals were added, except for strength. I didn’t find a great spot, that seems as to go with coordination (in the center). Strength just seems redundant really. Coordination as the centered element, bringing it all together.